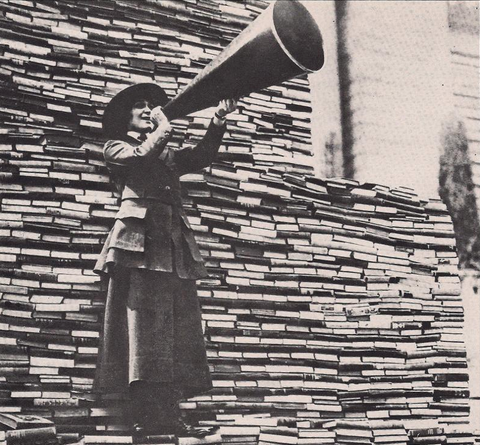 When one has read a book, I think there is nothing so nice as discussing it with some one else - even though it sometimes produces rather fierce arguments. Discussing books and reviews is awesome. Sometimes, however, you wish to stay inside of your friends' circle and now you can. The updated option for comments allow you to choose who can stay inside your circle and comment on your blog. We've also retouched the compare books option - now you can compare books on BookLikes' members blogs and share the news with your friends. You can choose the options as you wish, tick the boxes that will work best for your blog. Remember to Save the changes in Settings. We've also retouched the Compare books option - now it can be found on a public blog of any BookLikes member. You can also go directly to the compare books page - choose Apps/Compare books from the main menu. If you wish to compare the books simply click the chart icon in the upper right corner on the blog page and you'll see how many books in common the both of you have. The comparison includes books, ratings, book categories, and reviews. You can also share the news with your friends with the social share buttons. Now when you set your books with a currently reading status the start reading date will be set automatically to today's date. When you finish the book, click Finished! 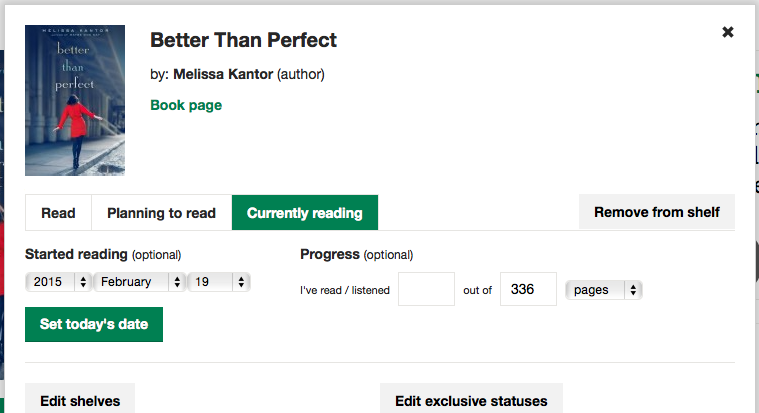 on your Dashboard - the finished reading date will be set automatically to today's date. 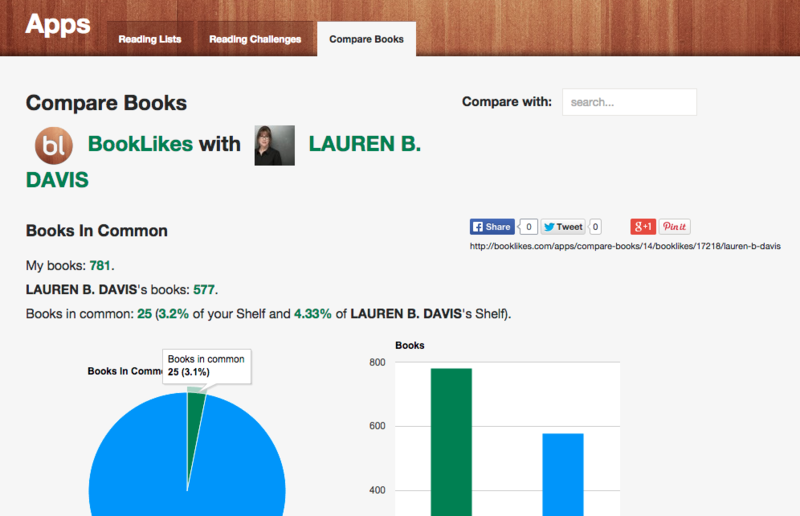 Books with filled up reading dates are added to your reading challenge. You can update the dates any time in the book popup by using +Shelf advanced options or in your Shelf table view.